The TRAILS (Therapeutic Recreation and Independent Lifestyles) program is designed to prepare individuals with spinal cord injury (SCI) to engage in active living through sports and exercise programs. Recreational experiences and education. The TRAILS program is designed to prepare individuals of all ability levels to engage in active living through recreational experiences. Utilizing opportunities and resources will help bridge the gap between rehabilitation and returning to the community. Participants can stay active through a number of recreational activities year round. 2) Funding for the 2013/2014 U of UT SCI Educational Curriculum; a critical initiative for new and chronically injured patients and their families. This is the only SCI education program in Utah. 3) Adaptive recreation experiences that match highly customized sports equipment with SCI patients. TRAILS seeks to provide opportunities to engender and develop an active lifestyle. To achieve this the program offers a number of components that include: The Spinal Cord Injury (SCI) Forum which is an 8 week educational program for persons with spinal cord injury, personal care providers, peers, and health care professionals; Scholarships for the Wellness Initiative giving access to therapy where insurance benefits are unable to cover; Virtual Web Outreach, and transportation to recreational activities. These services are available at no or minimal cost to participants. TRAILS is the only program of its kind in the Intermountain region (Utah, Wyoming, Nevada, Montana, Idaho). In collaboration with University of Utah Health Care Volunteer Services, TRAILS recruits volunteers who are interested in working with this specific population. Individuals have an opportunity to become a Spinal Cord Injury (SCI) volunteer specialist through extended training. The Peer/Mentor Program is a collaboration with United Spinal Association and links an experienced mentor to a peer who will work on problem-solving, self-management and assist with assimilation into an active lifestyle. 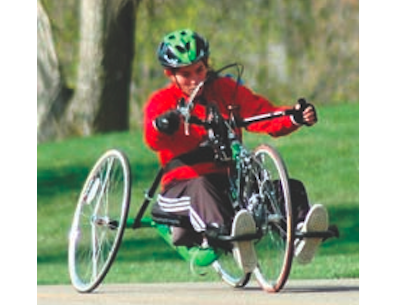 TRAILS offers the following sports and recreation programs: cross country skiing, downhill skiing, handcycling, kayaking, sailing, swimming, and wheelchair tennis.